For the first time ever, Vatican City will be represented at the Venice Architecture Biennale. Curated by Francesco Dal Co, the Pavilions of the Holy See will comprise 10 temporary chapels – each designed by a different architect. 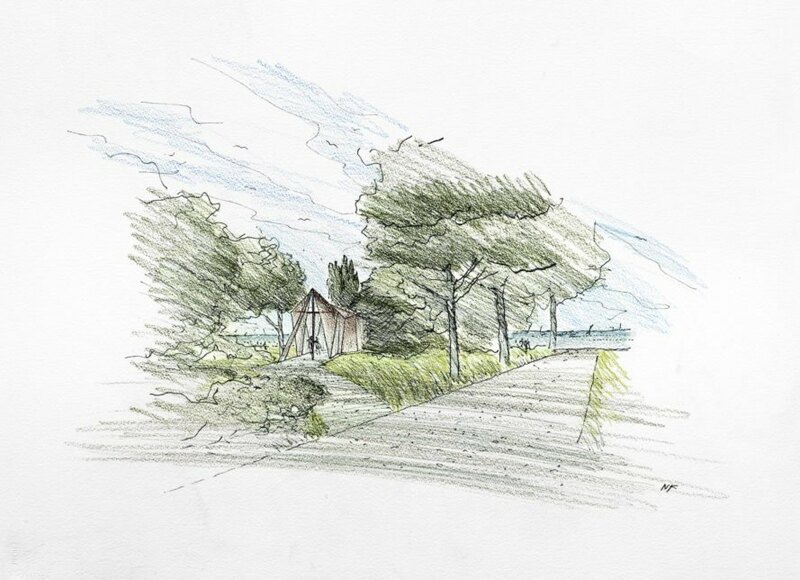 Foster + Partners was chosen to design a chapel on the Venetian island of San Giorgio Maggiore – and they just unveiled plans for a timber structure set in a quiet wooded space. Timber was chosen as the temporary chapel’s primary material. Three large crosses provide the supporting beams for the pavilion, which will take visitors down an angled timber walkway that culminates with lagoon views and seating. Porous timber latticework covers the pavilion’s sides and to obscure views and create a dynamic play of light and shadow. The pavilion’s opening ceremony will be held on May 25 and will remain open to the public between May 26 and November 25, 2018. For the first time ever, Vatican City will be represented at the Venice Architecture Biennale. Curated by Francesco Dal Co, the Pavilions of the Holy See will comprise 10 temporary chapels each designed by a different architect. 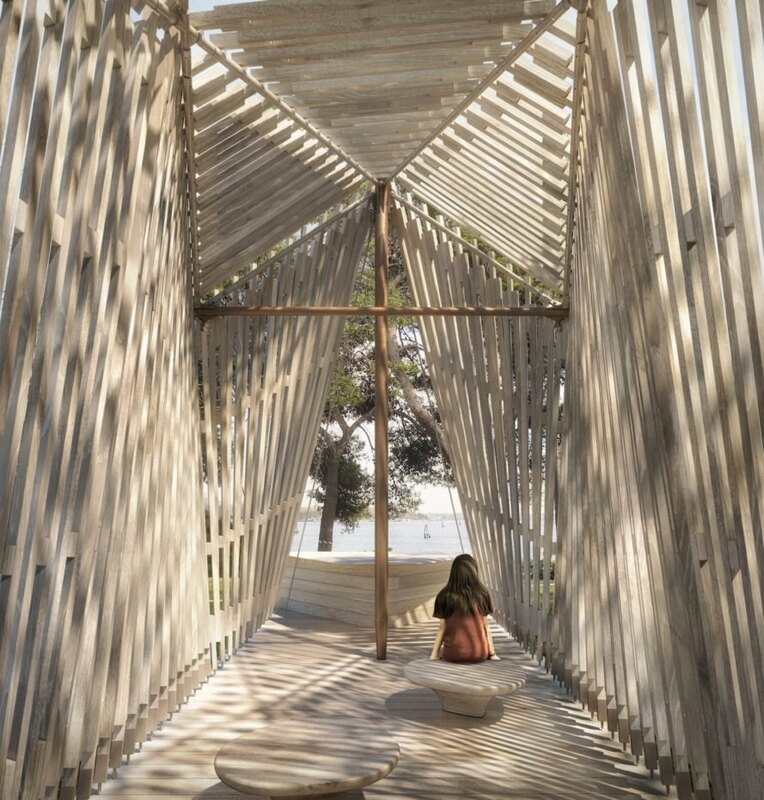 Foster + Partners, chosen to design a chapel on the Venetian island of San Giorgio Maggiore, just unveiled their chapel design set in a quiet wooded space. 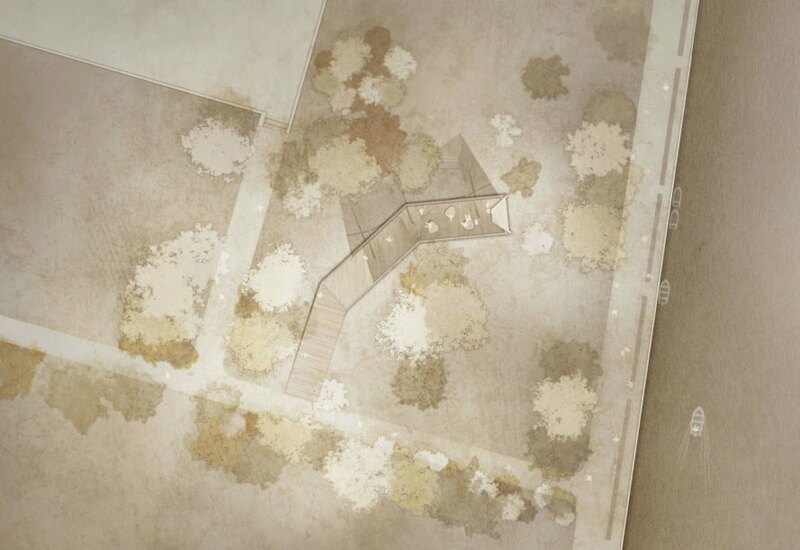 Three large crosses provide the supporting beams for the pavilion, which will take visitors down an angled timber walkway that culminates with lagoon views and seating. 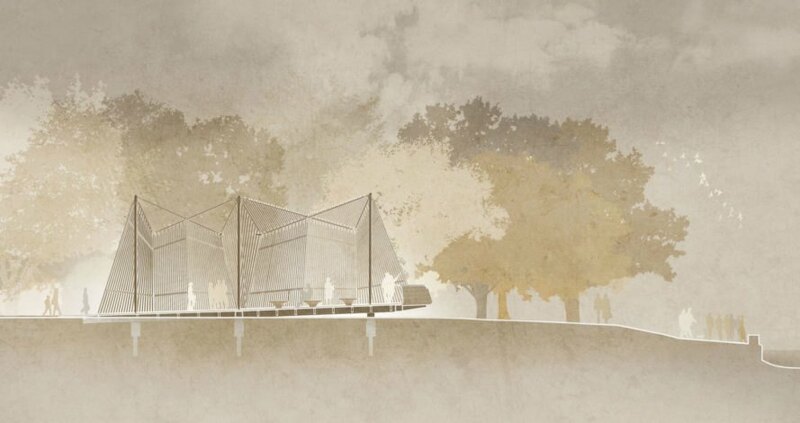 Created in collaboration with Italian furniture manufacturer Tecno, Foster+Partners’ Vatican City pavilion was largely informed by the landscape. The architects started the design process with a visit to San Giorgio Maggiore and the site selection of a quiet green space framed by mature trees close to Palladio’s magnificent church and the Teatro Verde. Porous timber latticework covers the pavilion’s sides and to obscure views and create a dynamic play of light and shadow.